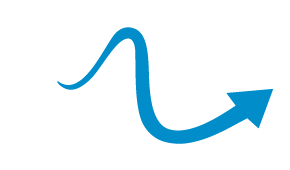 Blue Wave Swim is an award-swimming swim school based in South West London and offers swimming lessons in Wimbledon (SW19) and Putney (SW15) in Wandsworth. 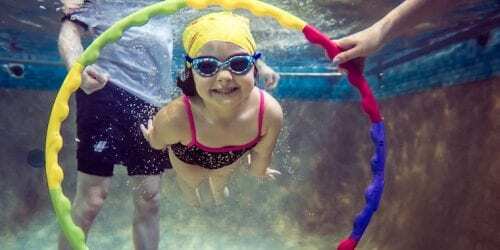 We use purpose-built swimming pools to deliver our progressive swimming lessons and we cater for all age groups; from babies upwards (4 months to 99 years). Learning to swim is an important part of a young child’s development – similar to learning to walk, talk or ride a bike – it’s a life skill. 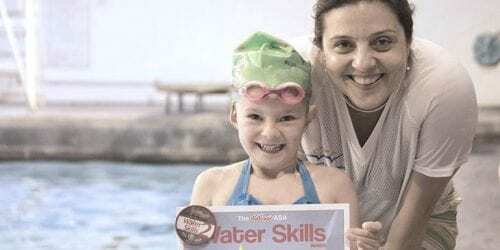 We pride ourselves to have a team of expert and energetic swim teachers who can introduce and take everybody to the wonderful world of swimming, one swimming lesson at a time! Our termly swimming lessons are delivered at Wimbledon College (Edge Hill, Wimbledon, SW19) in London and Putney Leisure Centre (SW15 1BL). 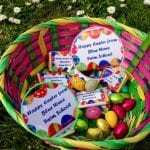 Our classes held in Wimbledon on Saturday afternoons and on Thursday mornings in Putney. Growing up with a fear of the water limits recreational choices later on in life, and could possibly manifest itself into a deeper phobia of water. 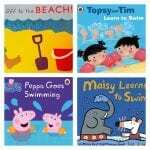 So, it’s always much better to start swimming lessons early- the earlier the better! We offer swimming lessons for babies, toddlers, pre-schoolers, school-age children and even adults. From complete beginners to advanced swimmers (Stage 7), we have a team of excellent swimming teachers and coaches who can teach lessons at all level. We think consistancy of teaching is the key and that is why you don’t have to leave our lessons after reaching a certain age or swimming ability. 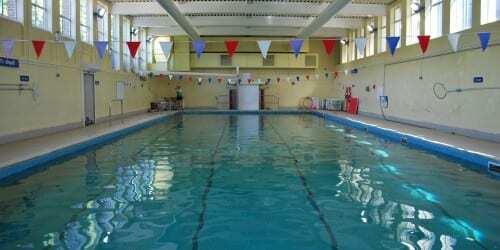 Majority of our teachers used to be competitive swimmers so, they know well how to teach swimming at a high standard. We follow Swim England Plan for Teaching Swimming. Our aim is to help everyone to develop an affinity for swimming, become a confident and safe swimmer, and gain swim skills which will last a lifetime, regardless of age. With a 360º approach towards teaching swimming, we always look for new ways to help others overcome their fears and learn to swim. Our focus is on quality instruction which fosters confidence and excellent swimming skills in our swimmers. Efficiency is something that we are very passionate about and we always change and adapt our programs to make it the best of the best. 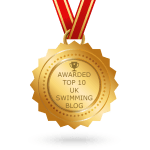 In 2018, our website and our blog section are ranked in the top 10 best U.K swimming website. We are also one of the finalists for the Merton Best Business Awards in ‘Healthy Workplace’ category.